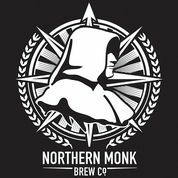 Northern Monk Brewing Co is raising £500,000 investment on Crowdcube. Capital At Risk. One of the North's fastest growing drinks companies. Sales doubled each year since inception. Sales to 22 countries. Rated one of the worlds Top 100 breweries (Ratebeer). In 2013 we set out to make some of the best beer in the world with just £5K. In 2018 we're giving you an opportunity to join us. In 2013 Northern Monk was founded. We started with just £5,000 gifted from a grandparent and a vision of a brewery that embraced the best of the global beer scene. Inspired by the history & heritage of brewing in the North as well as a progressive approach to techniques and branding, all coupled with a burning desire to make some of the best beer in the world, our journey truly began. Initially based in a parent's cellar, selling our wares at farmers markets, we quickly attracted investment and set out to find a brewery of our own. In 2014 we launched the brewery and tap room in a Grade II listed mill building in central Leeds that reflected our Northern roots. - 2 production sites. Ready for expansion. Over the next 2 years, we plan to triple capacity, invest in a new canning line, build on our wild beer and barrel programme and open tap rooms in London and Manchester. With a community focus at our core, we wanted to give our community the chance to join us for the rest of our journey. Disclosure: The company has director and commercial loan. To see the rest of the Northern Monk Brewing Co pitch, join now. Join to read more information about the Northern Monk Brewing Co team, documents, and what other investors are saying about the pitch.